Family and friends of Wilfredo Pego are raising money to pay for uninsured medical expenses associated with Catastrophic Injury. Wilfredo has chosen to fundraise with Help Hope Live in part because Help Hope Live assures fiscal accountability of funds raised and tax deductibility to the full extent allowed by law for donors. Donors can be sure that funds donated will be used only to pay or reimburse medically-related expenses. To make a tax-deductible donation to this fundraising campaign, click on the Donate Now button. Wifredo Pego came to United States 16 years ago on December 30, 2001. He came from Cuba looking for a better future for him and his two daughters. He worked very hard to support his family and was always a very active person. He was working at West Gate Elementary School as custodian for 8 years and was even going to get a promotion. But life as he knew it was about to change. On November 16, 2014 Wilfredo was going to work. He was at the driveway when he realized he had forgotten something at the house. When he rushed back into the house, he stumbled on the step at the door and fell hitting his face against the wall. He injured his spine at c4 and c5. He remembers wanting to move and being unable to move a finger and choking on his own blood. At the hospital, Wilfredo was placed in an induced coma due to the damage. His family was facing a bad prognosis. They were told that Wilfredo was not going to walk and he wasn’t going to breathe on his own if he survived. However, Wilfredo prove them wrong. After 3 long years he is now able to breathe on his own and he can walk using a special walker. But, his hands are still weak. They are too weak to raise them to say hi, drink water or use his tv control remote. Also, his body doesn’t have the strength to support him without the walker or to stand still for more than a minute. 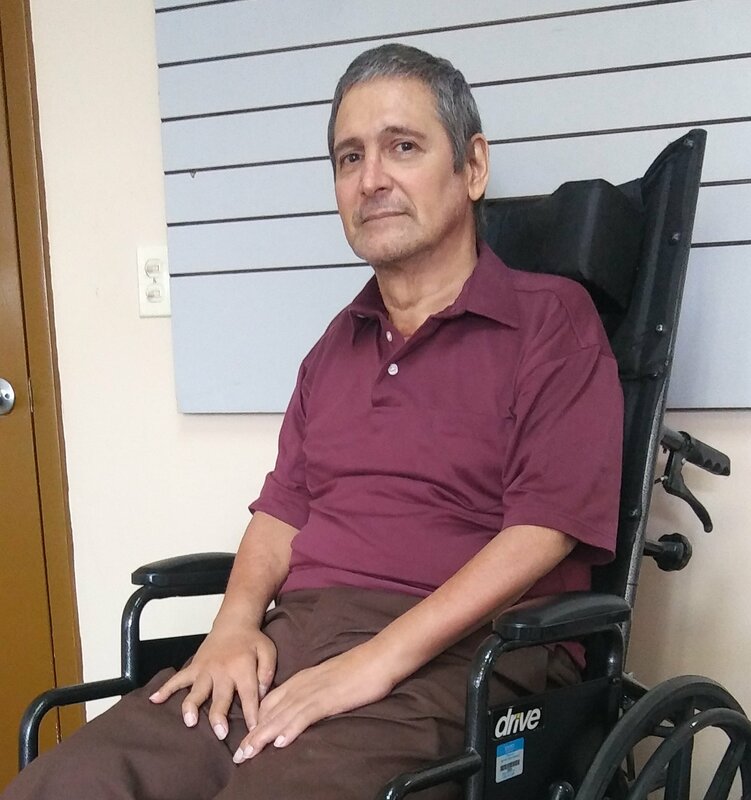 Wilfredo needs a lot of therapy hours to be able to regain his independence and to fulfill his dream to go to a restaurant with his family and be able to feed himself and hug his grandkids. But the therapy is private and very expensive and he cannot afford it, so we are asking for your help to make Wilfredo’s dream come true.